Maui went out fishing when the sun was out on his waka. Then it turned dark and Maui was still paddling, then morning came and he smelled the air and then he threw his hook into the ocean. Well Maui was waiting then he fell asleep. The ropes started moving then Maui woke up and started pulling the rope. A big stingray came up and it looked like the shape of NZ. If you're kill the fish then you will be killing mother nature you have to keep the creeks clean and the seas and the oceans then people will go fishing because there will be fishes to catch in the ocean. Today we enjoyed practising the beginning of our Mihi with Whaea Saf in Whare Fono. 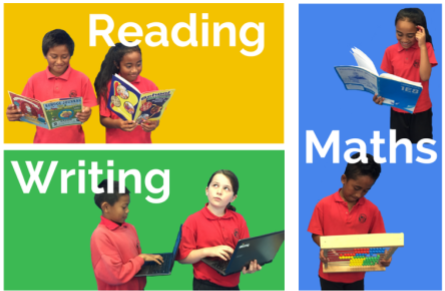 We will all share our personal ones once we have finished creating and learning them during the year. Congratulations to this amazing team of young people from Team 4 who were awarded top points for being so generally awesome, responsible and fabulous at our Year 5 and 6 camp! With so many amazing experiences and images to share from our Year 5 and 6 camp, it was tricky to decide what to include in our movie created for PENN today. Thank you Roshaan, Tepaia, Jedida and Donte for sharing your highlights of this adventure so clearly with everyone. Thank you for looking after us during camp and bringing us amazing team leader I have fun at camp it was my first ever camp I am happy that I got to stay 2 nights And go to bomb in the bombing pool. At camp it was fun because everybody had fun playing in the cold and playing at kayaking. I am playing with my friends like leonardy. I was helping Miss Takere take some food to the big tent and I got to load up the cooler with Patties and sausages. My favourite was going kayaking with my friend Lennox and it was my favourite because we got to get wet and when I went by myself my friend Lennox fell out of his kayak It was funny because he looked shocked because of the cold water. After we finished camp you told team 4 that the Generals were the winners and we got to have chocolate but you called it a healthy snack and that was funny. Thank you Mr Somerville for letting me go on camp. 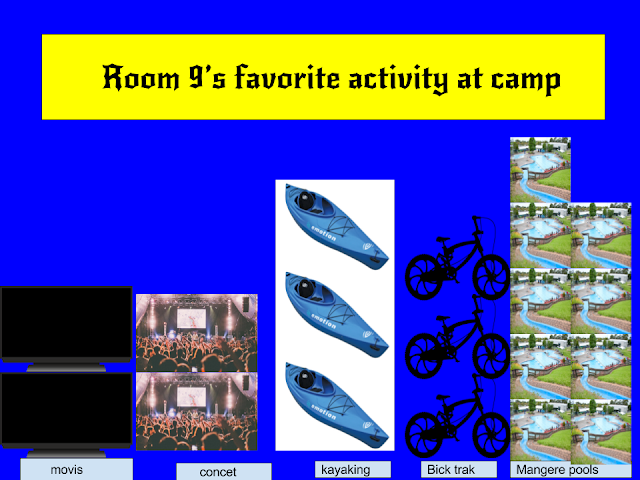 We voted to see what activity Room 9 liked best at camp. Then, we made a graph to show this. It was year 5 and 6 camp for three days. We stayed on the grass at school. We slept for 2 nights in a tent. It was fun sleeping in the tent but it was hard to go sleep because too many people around us were talking. We were split into groups. I was in the Generals. 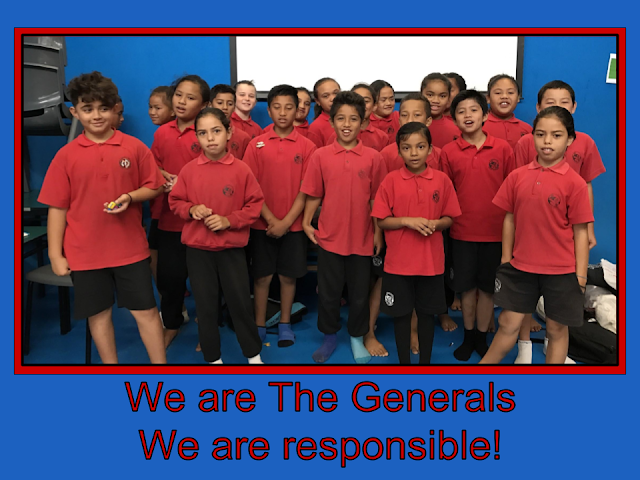 With the Generals we practised our concert item. We went kayaking at the beach. I was afraid to go in the water but then I wasn’t because I got on a kayak. It was fun. We played with the rollerblades and scooters. I played table tennis and basketball. We were against the Captains at Killer Zone. We threw the water balloons at the other team. The Captains won the first round and we won the second round. We went to Mangere Pools on Friday. When we first hopped into the pool I was cold but then I went out and went back in again. It felt nice the next time when I dived under the water. My highlight was dancing at the concert. We made a dance to the song We are one (Ole Ola). Thank you to Mr Somerville, Miss Timmi and Mrs Buchanan and the rest of the teachers who helped us at camp. Even some parents helped at the pools. At camp I learnt to try new things and not be scared of new things like kayaking.